I have a problem using Google Keep with my Sony Smartwatch 3. It's not you... I get the same exact behavior on my Sony SmartWatch 3 as well. Telling the watch to add cheese (or whatever) to your shopping list just doesn't work from the watch face screen. Perhaps this will change / improve in AW 2.0 that was announced yesterday, but we'll have to wait and see there. For the time being, this way will achieve the same thing.... but with a bit more swiping and work involved. 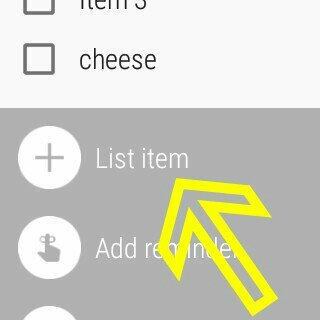 If you open Keep on the watch, then select your "shopping list", you will see at the bottom of the list you have the option to add another item. If you tap that, it will take you to a data entry screen where you CAN tell the watch to add "cheese" to the list. This method works fine for me on the SW3. However, I understand that this isn't exactly what you wanted and does take quite a few more steps. I'm experiencing the same issue. 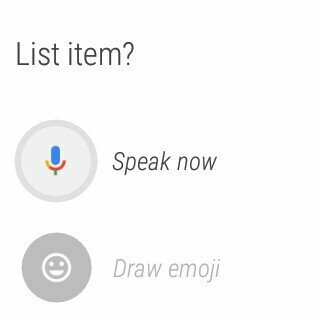 This seems like such a simple obvious functionality that Google or the Android Wear team have simply chose not to support. It's frustrating because these watches are supposed to make life easier when you can't interact with your phone or your hands are full - like when taking the dog for a walk, I have some time to think about my to-do list for the day and I want to just freaking add crap to an existing list without having to touch my super small watch screen. Launchers & Themes - New to Android and Nexus 6p! I hard reset my phone, and google is still crashing, any advice? Why is my Samsung S7 Edge not connecting to the T-mobile network?